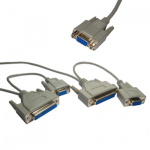 A range of DB9, DB25 serial and parallel null modem leads. 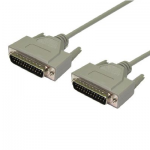 For more information on Null Modem cables please see our Serial Wiring page in our Technical Library. If you can’t find what you’re looking for feel free to Contact Us, we’re always happy to help!